Small business bookkeeping is one of the foundation blocks of a successful business. It is also one of the most neglected parts of many small businesses. Many small business owners do not bother with any bookkeeping until it comes tax time. but then they don’t give the monthly reports a second glance. So whether you do your own small business bookkeeping or hire your bookkeeping out…you must be on top of your own business affairs as Sharon so eloquently put it. Preparing and reviewing a simple internal income statement can be an effective way of in making sound business decisions and staying on top of your business. Analyzing your data in an internal report such as the sample income statement above can help you discover what is working and what is not, where you need to cut expenses or where you might need to increase them, and how your income/expenses are in comparison to another reporting period. Here are some small business bookkeeping tips for preparing internal reports that are easy to understand and the most effective in making sound business decisions. I would also add a dash and on what basis is was prepared such as Statement of Revenues and Expenses – Income Tax Basis (see sample income statement above) or Statement of Operations – Tax Basis (Unaudited). You could also add a footnote on the bottom saying Notice to Reader “Statement prepared on an income tax basis not GAAP. Note: It depends on your individual business, but if your financial statements are mainly for internal use and not widely distributed than no … you are not required to follow strict GAAP (Generally Accepted Accounting Principles) guidelines. You could prepare your financial statements on an income tax basis instead of GAAP. GAAP was developed mainly for public companies that had to report to third parties such as investors. In income tax basis accounting, the financial statements are prepared using financial information as it will appear on your income tax return. If you are preparing it for a third a party such as your banker you will need to check with them and find out what the requirements are for your financial statements. P.S. If you are required to provide financial statements to conform to GAAP, I would consult a CPA before preparing them. For those of you using the accounting spreadsheets from this site, You will simply type in the new title on January’s report and the rest of the reports will update with the new title. For those of you using QuickBooks: Go to reports → Company & Financial, → Profit & Loss Standard. Click Modify Report button, then click Header/Footer tab. Edit Report Title then click ok. Tip 2: Rearrange your expenses. Arranging your expenses listing your biggest expense first. You will be able to tell a glance what your highest expenses are and monitor them. In most accounting software the expenses will be listed alphabetically. In most software … to change the order of your expenses you will need to rearrange them in your chart of accounts first. In QuickBooks, go to Lists, then Chart of Accounts (or press shortcut keys Ctrl + A). Click on the little diamond that is in that yellow bar at the top, then go down to your expenses and click and hold that little diamond to the left of the account you are moving till it changes to a four-headed arrow. Then simply drag it where you want it to move that account. P.S. You can do your income accounts the same way. In your small business bookkeeping spreadsheets, you simply list them the order you want them in. They are going up or down in relation to my income. In QuickBooks it is really easy to add this column, simply pull up your Profit and Loss Standard Report and click on the Modify Report button in the left hand corner. Go down to “Add subcolumns for” and put a check mark in % of income. See the sample income statement above. In the small business bookkeeping spreadsheets offered free on this site, to the right of your last column, build a column titled % of Income. Highlight column and right-click. Go to format cells. Under Category, choose Percentage. Change Decimal Places to zero. Across from expense account in new column, type in the equal sign, click on amount in expense account, then type in division sign (forward slash), click on amount in Total Revenue or individual income account (your choice) … then hit Enter. Do the same for all accounts. The important thing is to prepare a monthly and/or quarterly profit and loss statement and then sit down and study it. See what you can change, improve, or reduce to grow your business. Tip 4: Format it to compare a current reporting period to a prior reporting period. This is imperative! Take time to set up and study a comparative income statement (absorption costing income statement or variable costing income statement). You can compare this month to last month or better yet the same month a year ago. Compare this quarter to the previous quarters or to the same quarter a year ago. Last of all always compare this year’s income statement to previous years. Did your income increase or decrease? By what percentage? Did your expenses increase? In proportion to your income? 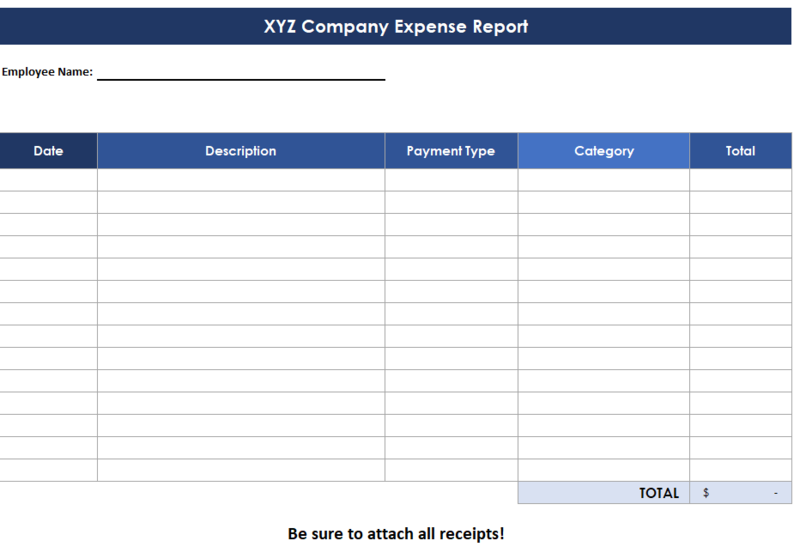 In QuickBooks, this is an easy report to create. Simply >: Go to reports → Company & Financial, → Profit & Loss Per Year Comparison. These diagnostic reports can help you identify good and/or harmful trends. Are your expenses steadily creeping up but your income is staying the same or even worse … declining? If so, it is time to jump in and figure out what you can do to reverse this harmful trend. Studying the data in internal reports will help you make wise and financially sound decisions for your business, so stay diligent in your small business bookkeeping tasks and watch your business grow.